Back in law school, my friends and I loved shopping and dinning on 3rd Street between Fairfax and La Cienega as we giddily seized any opportunity to unglue our faces from our voluminously dense law books. 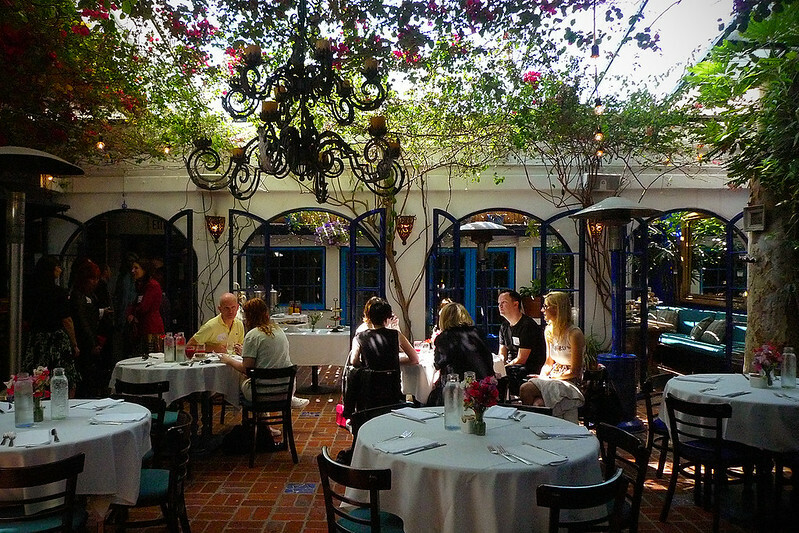 The Little Door was one of our favs on the quintessential LA block as we were enamored by the restaurant's je ne sais quoi ambience and welcomed the escape to an "afternoon in Paris" state of mind. 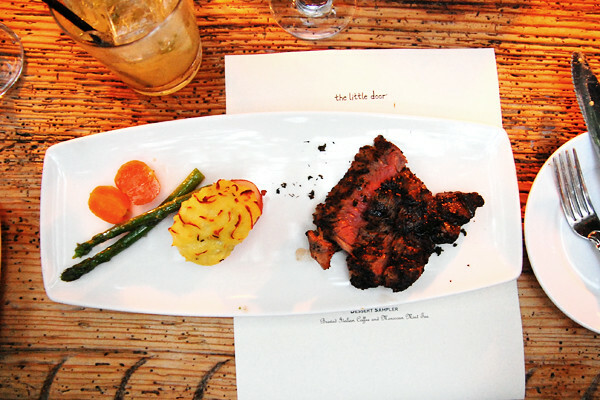 It's been several years since I've been to the restaurant, so when The Little Door invited me to a summer tasting paired with their at that moment not yet launched cocktail menu (July 11 is the official launch date! ), I quickly replied oui. 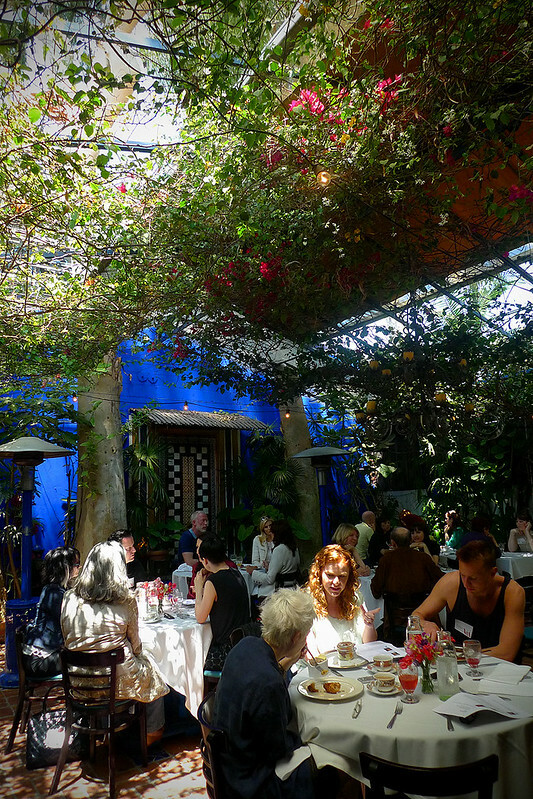 I love the restaurant's "indoor" patio dining area as the lush foliage simultaneously provides coziness and airiness. Bourbon Bellini. The peach nectar adds a hint of sweetness to the bubbly drink, setting a sweet tone for the night. 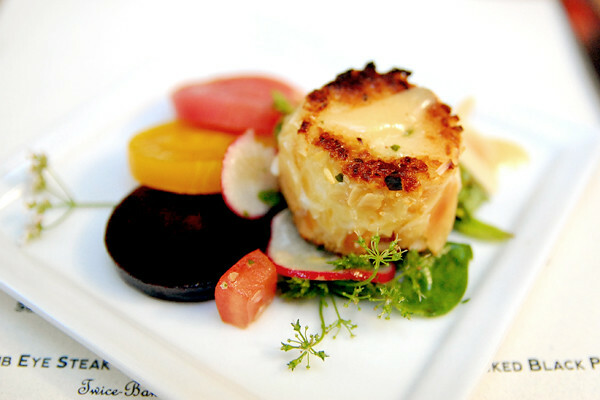 Almond Crusted Goat Cheese with Trio of Beets. The goat cheese and beets salad has never been done like this before. Lightly frying the goat cheese brings a whole new level of mesmerizing texture, dimension and taste to the dish. 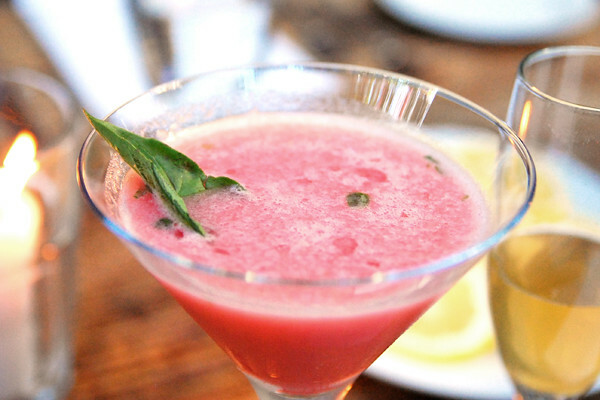 Seasonal Rhubarb Cocktail. Made with Kanon Organic Vodka, this was my favorite drink of the night. It's an alcoholic smoothie! Duck Foie Gras. The richness and decadence of this dish melted in my mouth. 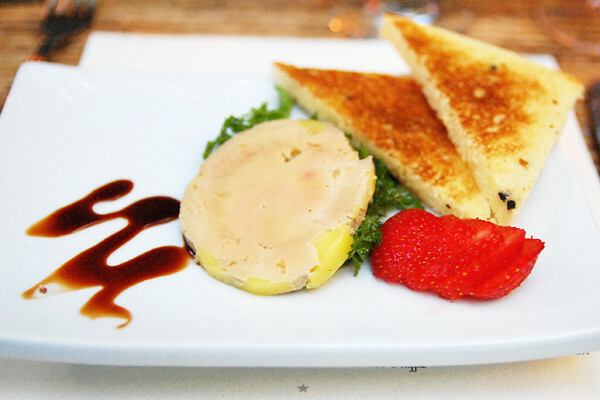 I couldn't help but shed a few tears as we bid adieu to foie gras in California. This was the perfect night and occasion to eat/wave goodbye to foie gras. But we shall meet again! 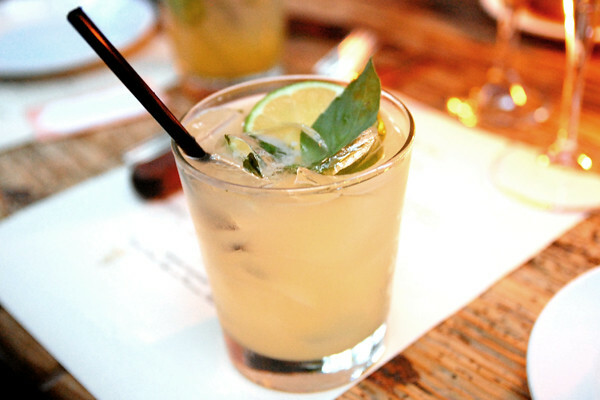 Basil Margarita. 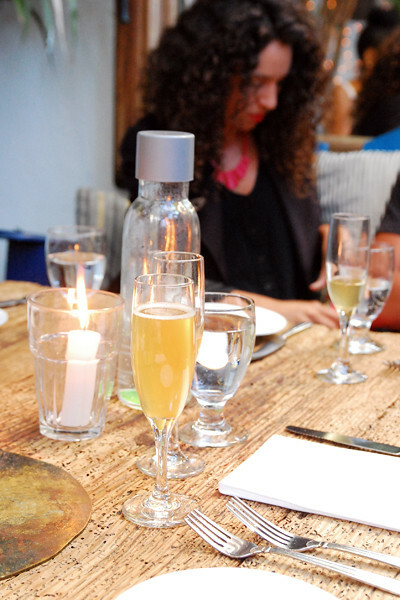 The sweet and sour notes of this drink balanced out the richness of the foie gras. 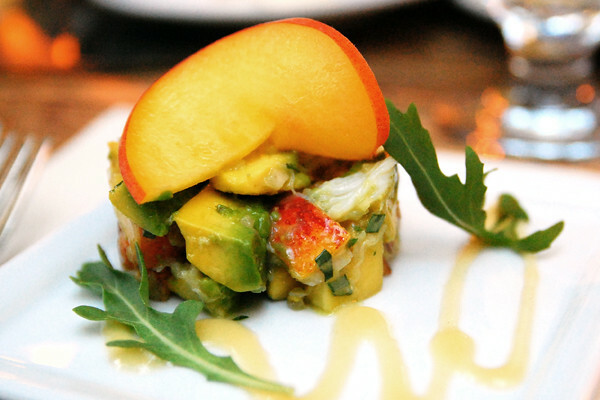 Dungeness Crab, Avocado and Peach Salad. The perfect trifecta! Velvety light, fresh, and honey sweet, this was definitely one of my favorite dishes of the night. Pistachio Mint Pesto Crusted Rack of Lamb. 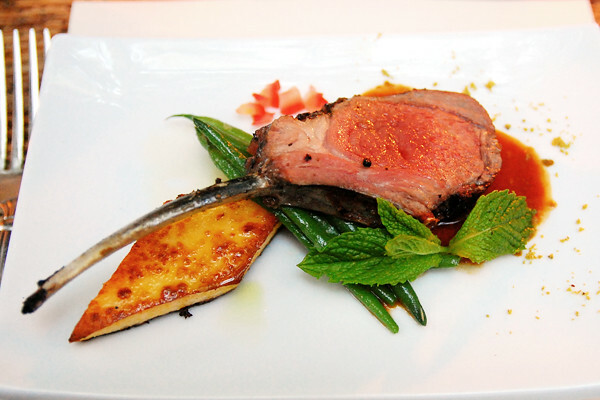 I usually stay away from red meat, but I devoured the lamb like a starved wolf. 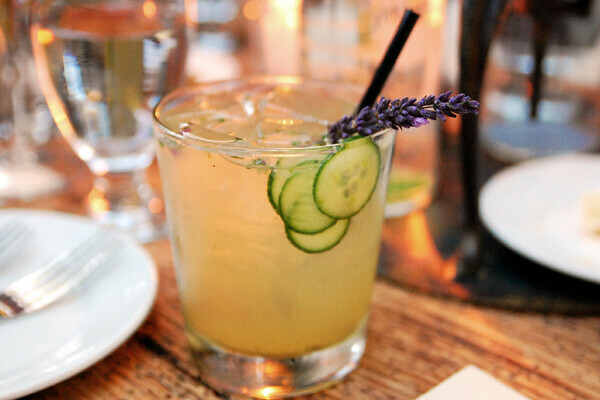 Lavender Cucumber Mojito. This drink was delightfully refreshing with a hint of melon. Grilled Prime Rib Eye Steak with Twice Baked Black Truffle Potatoes. Every inch of the steak was covered with wonderful spices and herbs while the truffle infused potatoes was perfect in flavor and consistency. 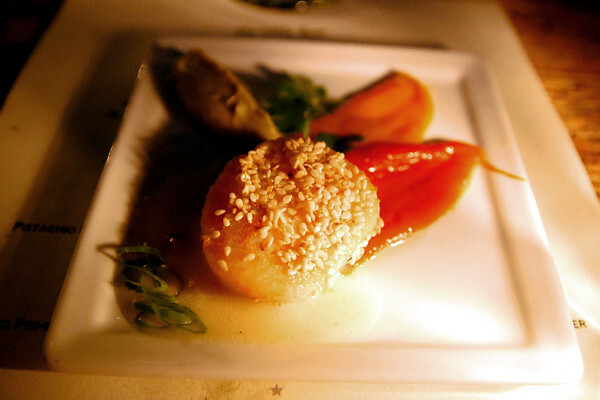 Sesame Crusted Sea Scallops with Lemon Sauce. By this dish, I was about to pop. Just when I thought I couldn't eat anymore, I did. The scallop served as a great palette cleanser as we shifted to dessert. 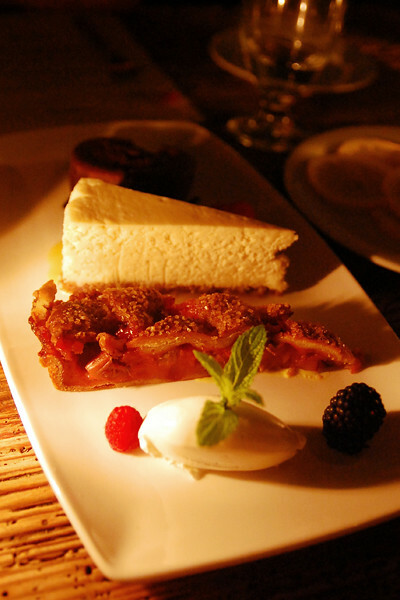 Dessert Trio: Strawberry Rhubarb Tart, Coconut Cheesecake, Flourless Chocolate Cake. I only had a small bite of each but all three tasted scrumptious. The clear winner was the strawberry rhubarb tart. The flaky sweet crust served as a delicious contrast to the tartness of the strawberries and rhubarb. When people come to The Little Door, they leave their egos outside as it's simply too big to get in. They come for the experience and joy of enjoying a truly tasty meal. That's exactly what we did that night. We toasted, feasted, celebrated and said hello to new friends, new libations and goodbye to what is now a part of California's culinary past.